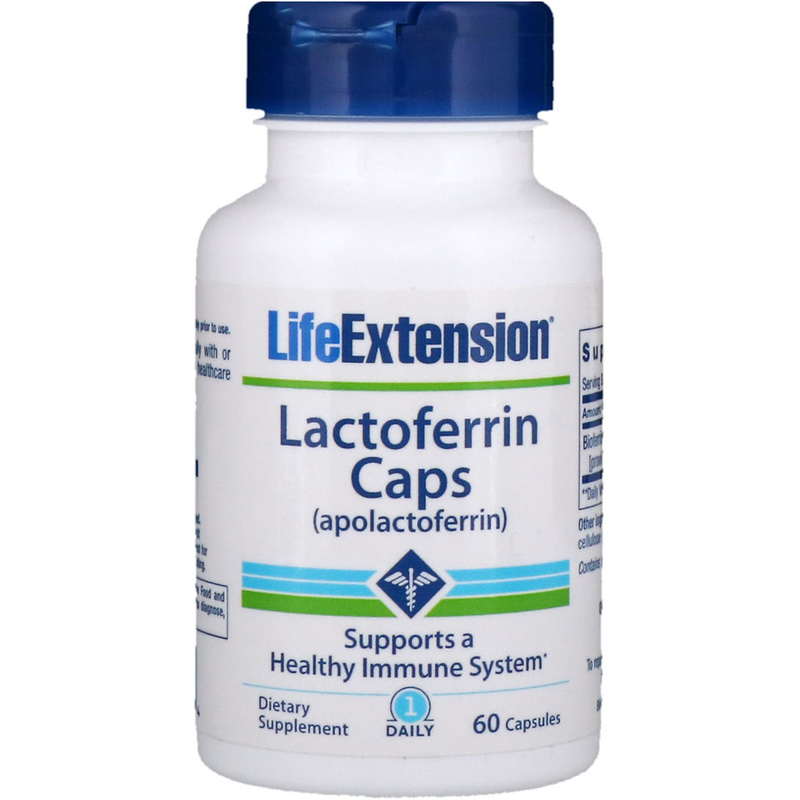 Lactoferrin is one of the transferrin proteins that transfer iron to the cells and control the level of free iron in the blood and external secretions. It has antimicrobial activity and is part of the innate defense. In particular, lactoferrin provides antibacterial activity to human infants. Though human colostrum (“first milk”) has the highest concentration, followed by human milk, then cow’s milk, lactoferrin is found throughout the human body. Published studies examining lactoferrin as a supplement and its beneficial effects on immunity have been quite promising. 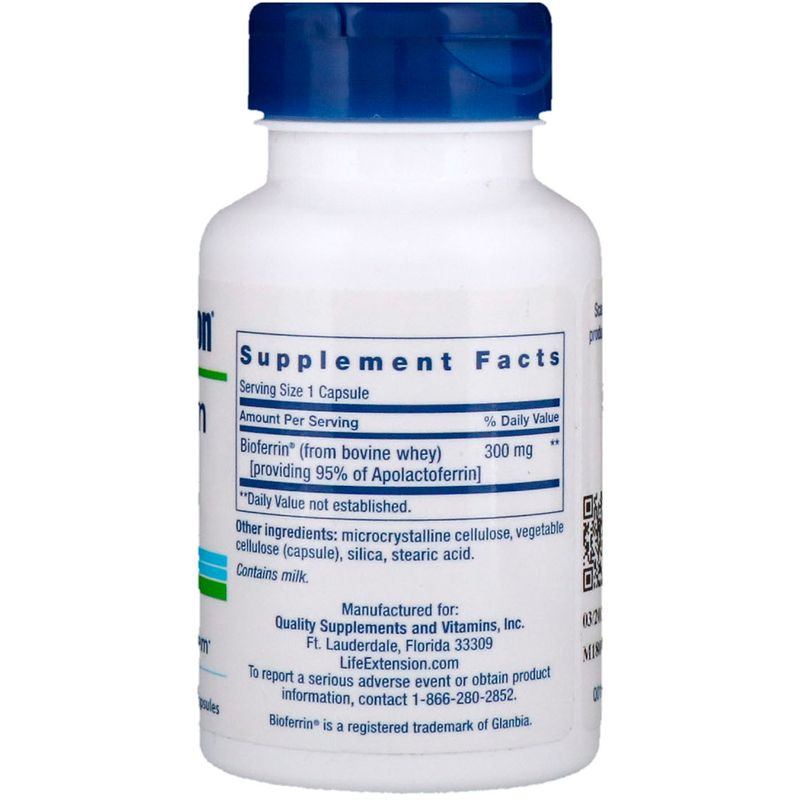 Lactoferrin helps maintain a proper level of “good” bacteria in the intestinal tract, while controlling the number of "bad" bacteria. Lactoferrin is also known to have an extremely high affinity to bind to iron. Studies show that apolactoferrin, the iron-depleted form of lactoferrin, has unique benefits and may be superior to lactoferrin for supplementation. Life Extension’s lactoferrin supplement from bovine whey contains only the superior apolactoferrin form of this important whey.